It’s not all about self-driving cars. Chris Price looks at developments in the automotive world which will turn your humble motor into a smart vehicle capable of doing everything from entertaining the kids to showing video footage of a victim’s injury to a paramedic. While automated cars, such as Google’s self-driving prototype (see below), understandably grab all the headlines, the reality is that cars have been incorporating more and more communications technology over the last few years. Already many will reverse park themselves into a space between two cars (you don’t even have to keep your hands on the steering wheel – see YouTube video below). And, at the Lommel Proving in Belgium last year, Ford first demonstrated to shinyshiny its prototype obstacle avoidance technology which will enable the car to swerve automatically if it senses you are going to hit a car or pedestrian. Nor is automation the only technological development we are seeing in our cars. As wireless communication advances in the home, so too are new opportunities developing to provide higher speed data services in our vehicles. German car manufacturers BMW and Audi were the first to see the potential of in car 4G back in 2012 with BMW first demonstrating its 4G LTE in car hotspot to journalists at CES in 2013. Simply plug the hotspot into the car’s central console and you can surf the web at high speed as well as access applications such as Facebook either via your own tablets or the display built into the car. BMW have even included a suite of apps including one that monitors driving technique called Eco Pro Analyser which can give you advice on how to drive more effectively and efficiently. Of course the German company isn’t the only one working on in car 4G. Last month, General Motors in the US said it will give a free, three-month trial period or 3 gigabytes of use for its embedded OnStar 4G LTE mobile Internet service that will be available on most 2015 vehicles sold in the US. 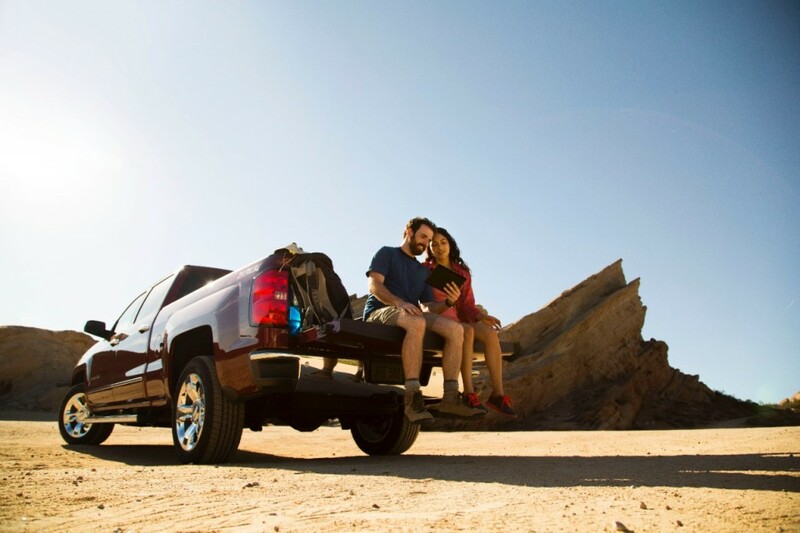 “OnStar with 4G LTE is embedded into the vehicle, meaning customers get simple connectivity for not only a Wi-Fi hotspot, but also improved access to traditional OnStar services like vehicle diagnostics, remote vehicle access and others,” said Mary Chan, OnStar president, in a press statement. Once the trial period expires, GM OnStar customers who subscribe to the service can buy 200 megabytes of data for $5 a month up to 5 gigabytes of data for $50 a month, while non-OnStar subscriber plans start at $10 for the 200MB of data up to $50 for 5GBs. However, GM’s ow AppShop that will allow drivers to download music, news, travel and vehicle information apps is now being delayed and will now not be introduced on 2015 Chevy, Buick, GMC, Cadillac and Opel models as originally planned. 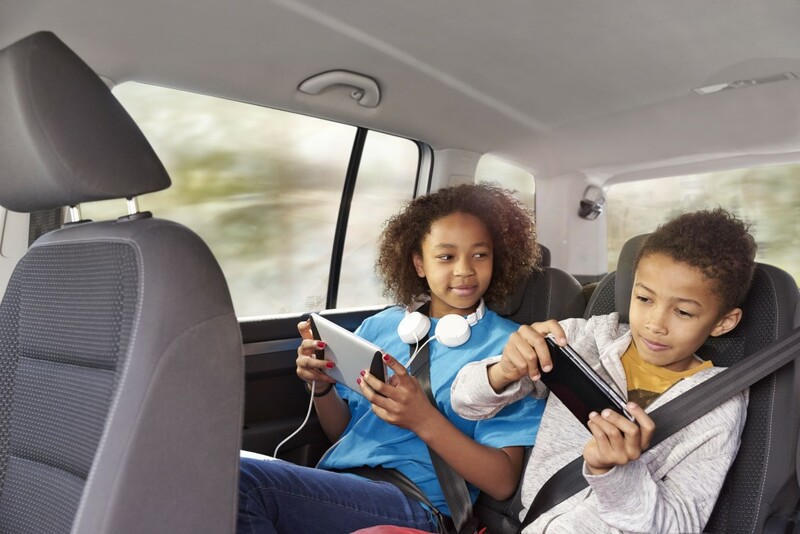 It isn’t just the car manufacturers themselves who have realised the potential of high speed internet in the car to keep the family entertained while you are driving. Mobile phone company EE has also unveiled the UK’s first in car 4G device. So will all cars come with built in 4G connectivity eventually or will drivers use their own portable hot spot? It will be a mixture of both reckons Pavan Matthew, Global Head of Connected Car for Telefonica (the Spanish company which owns O2). In a similar way, satellite navigation systems are often installed in higher end cars as standard, but many people still buy portable sat nav systems for multiple car use. While staying in touch and keeping the kids entertained are clearly going to be the main reasons for us making our dumb cars smarter, there is another possible benefit too, reckons Telefonica’s Pavan Matthew. It could help save our lives. Much is made of the potential to distract the driver by providing onboard high speed internet connectivity. But little is made of the possibilities of the role that 4G could play in the event of an accident. “In-vehicle 4G could have a dramatic effect on the way emergency services operates,” argues Telefonica’s Pavan Mathew. “For example, paramedics could use video calling to share images of a victim’s injury with a consultant back at the hospital which has the potential to extend the ‘golden hour’ (the period of time where medical treatment will most likely prevent death) to a ‘golden hour-and-a-half’. Far from being a distraction, high speed in car internet could actually help save thousands of lives. 1. WATCHING FILMS – To keep little ones entertained on long journeys you used to have to invest in a portable DVD player or get one installed in the car. With in car 4G you can watch movies via Netflix or catch up on TV programmes via the BBC iPlayer using your own web tablet. However, you will need to ensure you have a generous data package otherwise it could start to get very expensive! 2. – STREAMING MUSIC – Years after digital music devices like the iPhone became the norm many cars still don’t even have any more than a basic CD player. With 4G you will be able to listen to whatever takes your fancy using services like Spotify (and Pandora in the US) without having to fumble around looking for your CD collection. 3. SENDING INFORMATION TO OTHER DRIVERS – One of the interesting aspects of all cars having built in data is how information could be shared like an incar social network. For example, Ford has showcased a system where you press a ‘cow’ icon to warn other drivers of a hazard in the road. The idea is they would automatically get the alert when are they approaching the danger in a similar way to some advanced sat nav systems. 4. REMOTE DIAGNOSTICS – While the thought of information from our car, such as its speed, being sent to authorities (even anonymously) understandably fills many of us with dread, there are some positive applications too. It is possible, for example, for the manufacturer to detect any mechanical problems with the car as you are driving and warn you to take your car in to be fixed. 5. SAVING LIVES! – It’s something that most drivers don’t want to think about, but in the case of an accident 4G could potentially save your life. Obviously emergency services could know exactly where your car is if, say, you are rendered unconscious. On board cameras could also be used to transmit video to paramedics in order for them to gauge the seriousness of the situation and respond more effectively. When will self driving cars become a reality? Could we all soon be driving around in fully automated cars? 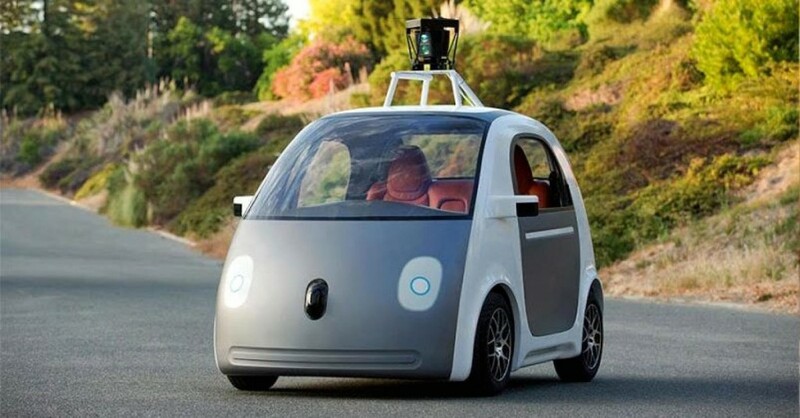 Certainly Google, which recently unveiled a prototype self driving vehicle, hopes so. Capable of driving at speeds of up to 25miles per hour, the Google car will steer itself and apply the brakes automatically if it comes too close to another vehicle. The only control the driver will have is the stop and go function. Meanwhile automated vehicles may soon be driving on a four lane highway and around a simulated city centre that’s been built at the University of Michigan. Featuring roundabouts, traffic lights, virtual shop fronts, even a mechanical pedestrian, the facility will be used to evaluate how automated and networked vehicles respond in different traffic conditions. For example, how would they cope if someone randomly started crossing the road or the traffic lights stopped working? But if you thought that driverelss cars could never come to the UK because we have much narrower streets than the US you’d be wrong. Apparently, the UK government is said to be rewriting the rules of the road, including the Highway Code, to allow for driverless cars to be developed. Currently it’s necessary for the driver’s hands to be in control of the steering wheel and pedals at all times. And last October it was announced that Milton Keynes would get the UK’s first driverless car network because of its wider pavements. From 2015 driverless ‘pods’ will transport people between Milton Keynes’ railway station and shopping centre at the very modest speed of 12 miles per hour. It may not be particularly fast but it’s the speed that many of us currently average in our vehicles driving through city centres in rush hour.